The HVDC Sileru–Barsoor is a high voltage direct current transmission system between Sileru, India and Barsoor, India, which went in service in 1989 as the first HVDC line in India. 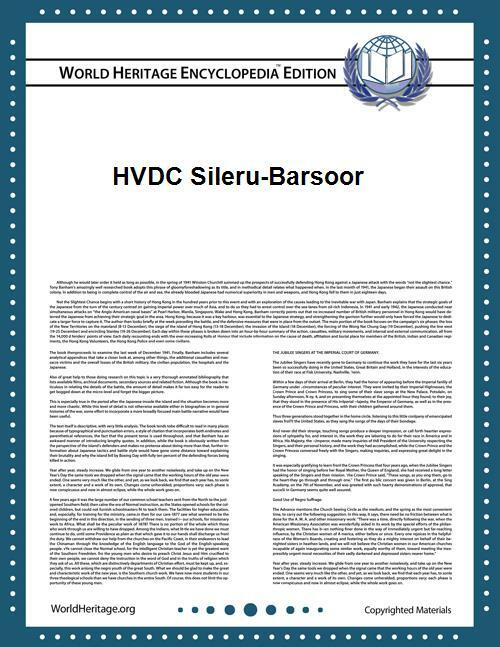 The HVDC Sileru–Barsoor is a bipolar HVDC with a voltage of 200 kV and a transmission rate of 400 megawatts. The HVDC Sileru Barsoor couples two asynchronously operated parts of Indian electricity mains over a 196 kilometers long overhead line, which was originally a double-circuit 220 kV AC line from which three conductors are parallelized. This article about electric power transmission is a stub. You can help World Heritage Encyclopedia by expanding it. This India-related article is a stub. You can help World Heritage Encyclopedia by expanding it.